I was watching KET the other afternoon and stumbled on to a program called Waltzing Forever. It is one of their many "smaltzy" programs, this time featuring Viennese waltz music. What grabbed my attention where the many waltzing couples that included a couple with a woman in a wheelchair being whirled in the air. As they were all singing "Still in Love With you," the camera panned on older couples looking into each others eyes, gay couples embracing and hundreds of typical couples exchanging kisses. What ran through my mind, especially when I saw the wheelchair-bound waltzer being whirled into the air, was this. Why don't we look for more ways to include people, rather than exclude them? This philosophy, theology really, has been at the heart of my ministry from day one since I believe it was at the heart of Jesus' ministry. I am thrilled with Pope Francis in this regard. Like the Good Shepherd himself, he is always, sometimes to the chagrin of his critics, challenging our church to go to the margins. One of the best compliments of my life came from a classmate priest, who works in another part of the world. "He said, "Go to the margins? You've been doing that long before Cardinal Jorge Bergoglio of Argentina became Pope Francis!" One person, about 1987, labeled the Cathedral of the Assumption parish when I was there as "The Island of Misfit Toys." This was one of the greatest compliments that we ever received. It comes, of course from the children's "Rudolf the Red-Nosed Reindeer" Christmas Special. "The Island of Misfit Toys" was an island where broken toys could go to be repaired so that "they, too, could be part of Christmas." The Church must reject becoming a closed-off caste and instead be willing to serve the marginalised and those who have lost faith, Pope Francis said this morning. In an impassioned homily at a Mass celebrated with his new cardinals, the Pope said the Church needs to “leave her four walls” to go out and find those on the outskirts of life. The homily has already been described as a “mission statement” of Francis’ pontificate which has seen an emphasis on a Church of mercy that seeks to be on the margins or “peripheries”. Francis added that ecclesial thinking is at a crossroads between the “doctors of the law” who want to cast people out and the “thinking of God”, which is to stress mercy and reinstatement. He went on to tell the new cardinals – who concelebrated the Mass today with him – to learn how to speak the right words to all those “considered incurable and hence untouchable”. In this way, the Pope told them, they will find ways of healing people and understand the “logic” of Jesus. “I urge you to serve the Church in such a way that Christians – edified by our witness – will not be tempted to turn to Jesus without turning to the outcast, to become a closed caste with nothing authentically ecclesial about it,” the Pope said. 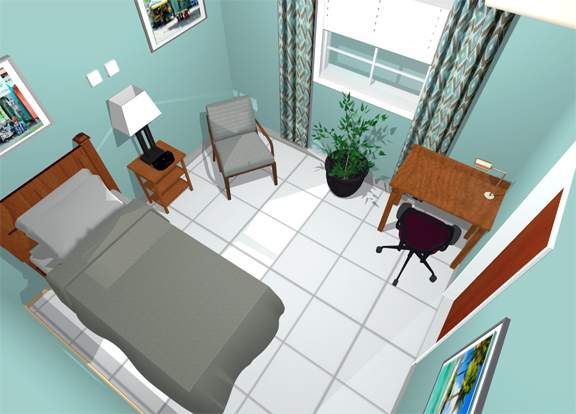 My dream is to upgrade the Diocese of Kingstown Pastoral Center so that it will be a comfortable and workable place to receive retired adult volunteers in our CATHOLIC SECOND WIND GUILD program and to be an inviting place for diocesan retreats. We are slowly working our way through the various areas of the building. SAINT JAMES CHAPEL, CATHOLIC SECOND WIND headquarters and the upstairs kitchen, dining room and living room are coming together quite nicely. We hope to dedicate the new chapel on September 18. 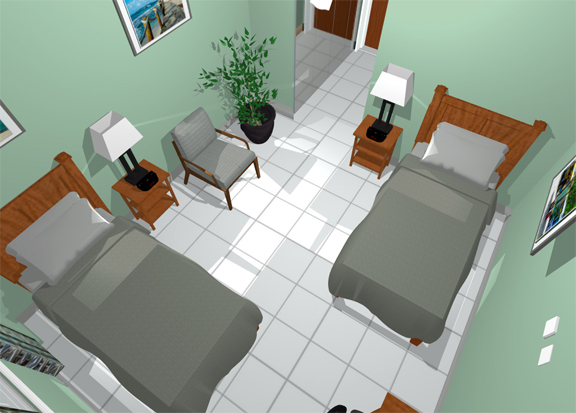 Next, we hope to focus on the seven guest rooms. Five have been sponsored, but there are two left. I will be going down to the islands again on September 11. Maybe I can deliver some good news? You are Peter and upon this rock I will build my church. whatever you loose of earth will be loosed in heaven. Right after this homily, I will invite you to join me once again in saying the Creed, the summary of the basics of our faith. In it we will profess to be in a church that has four qualities – a church that is one, holy, catholic and apostolic! Last week, when Jesus was outside Jewish territory, curing the daughter of a Canaanite woman, the readings gave us an opportunity to think about our church being catholic, meaning universal, inclusive and welcoming to all. We see the catholic side of our church every time one pope is elected and another ones dies. Our church is not a Jefferson County Church or an American Church. It is a universal Church. Our leaders are elected from bishops of every color and from every nation on earth. The last four popes in turn have been Italian, Polish, German and now Argentinian. The next one could be Korean, Nigerian, Mexican, Filipino, Australian, Ugandan, American or any other nationality on earth. This week, the readings offer me a chance to talk to you about our church being apostolic, one that goes back in an unbroken line to the apostles themselves, with Peter as their designated leader. The only reason our headquarters is in Rome, rather than Jerusalem or Antioch is that Peter, head of the apostles, preached in Rome, died in Rome and is buried in Rome. How can I ever forget that picture of Pope Francis hugging the box holding the bones of St. Peter last June 29 before they were reburied under the high altar in St. Peter’s Basilica in Rome? You have all seen the big church in Rome that is named after Peter the apostle – Saint Peter’s Basilica. Saint Peter was crucified, like Christ but upside down, around 64. Two hundred years after his death, the Emperor Constantine erected a church in honor of Saint Peter on Vatican Hill. The fact that Emperor Constantine built his church over a cemetery and on a slope makes no sense unless he wanted to mark the grave of Saint Peter himself. It has long been believed that this was the spot where Peter was buried. The original church was torn down in the 16th century and the present church was built on the same site with the altar in the same spot. It wasn’t till 1939 that excavations underneath the floor of Saint Peter’s Basilica uncovered a Roman cemetery and at a spot directly beneath the main altar was discovered a small shrine with a box of bones that are believed to be those of Saint Peter himself. Four years ago, I was deeply moved to see Pope Francis having the great honor of holding a box with the bones of Saint Peter in his hands. Pope Francis is the 266th continuous successor to hold the “keys” given to Saint Peter in today’s gospel. Pope Francis is Peter in today’s church! He holds the power “to bind and loose” that was given to the apostle Peter in today’s gospel. When we say we believe the church is apostolic, we are saying that we believe that the line of succession is unbroken all the way back to the apostle Peter himself. Now, what about all the corruption that has happened throughout history? Should we not just start a fresh new church? Again, look at what Jesus said to Peter in today’s gospel! He tells Peter that “the gates of hell will not prevail against the church he has built on Peter.” He does not say that evil will not infect and afflict the church. He does, however, say that it will not prevail against it! As Vatican Council II said, “the church is semper reformanda, always in need of reform! We are indeed the field of weeds and wheat growing side by side that Jesus talked about. Here is one of my favorite quotes by a faithful Catholic who has a love-hate relationship with the Church. see you destroyed and yet I need your presence. one, it will be my Church, and no longer Christ's. Those who would like to forget the apostolic nature of the church are like people who would take the family album and cut out all the people and events they don’t like and find embarrassing so that they can appear to be clean and pure. The only problem with that is that they will always be clipping and editing because the church will always have a sinful side - it always has been, and will always be, made up of sinful people. I am happy we have left all the losers, crooks, bad popes and sinners in our family album because it is indeed proof to me that “the gates of hell shall not prevail against the church founded on the Rock! We members of the church have had every chance possible to destroy it over the last 2,000 years, but the fact that it is still going, is still as healthy as it is, is proof to me that Christ is still “with” the church he founded on Peter the Apostle.